The Request: The client requested a large scale, 19’-0”Diameter x 20’-9”High, traditional chandelier. The fixture was to include intricate fleur-de-lis details, crystal strands, a custom bronze finish, and programmable color-changing LEDs. In addition to the above design elements, local building code dictates the fixture be hurricane rated. Design Challenges: iWorks determined that the success of the project was contingent upon the massive fixture being constructed in such a manner as to allow for onsite wiring and assembly; which is not generally the case. The Solutions: iWorks’ engineers determined that the best design configuration, due to the size of the fixture, was a fixture containing three layers, separated into quarters, to hold the 42 arms. In order to assemble the fixture, the layers needed to be hoisted one at a time before they could then be secured into place. The layers and arms were delivered pre-wired for installation, but final electrical connections were made on-site. All 42 arms were then attached to the center framework. Once the frame and arms were fully assembled and wiring was complete, the installers could then dress the fixture with hundreds of pre-strung crystal strands. The crystal strands were produced with traditional pinning to suit the style of the fixture, however they were reinforced with monofilament line to withstand 110 mph winds. The frame’s finish was also protected with a powder coat sealer to prevent fading and corrosion. The frame itself was made of heavy gauge cold rolled steel. You Have to Know: This fixture, fully assembled, weighed approximately 14,000 lbs. That’s the weight of 3.5 American cars! The fixture contains 3 layers. This is the first two layers early in the production process. The layers consist of four quarters. The fixture is fully assembled at iWorks to ensure quality. The fixture has 42 arms. This is the beginning of the arms pre-assembly. 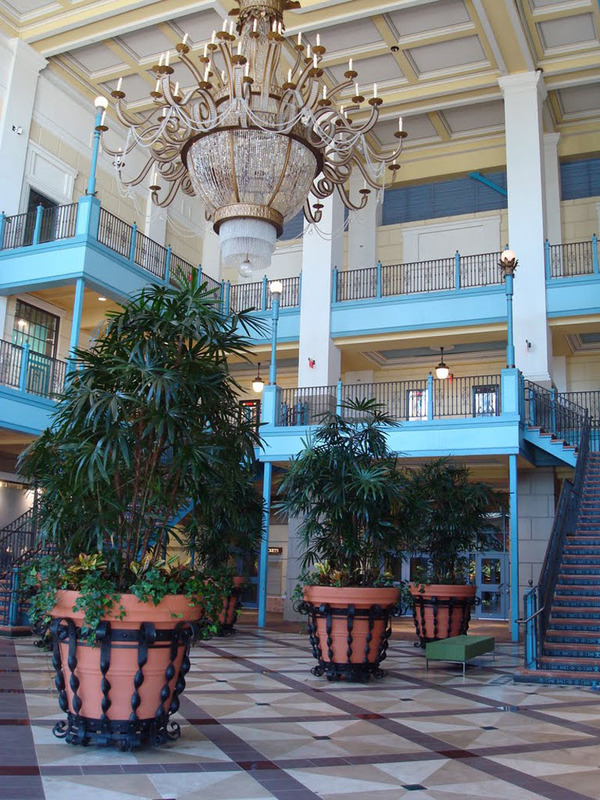 The 42 arms were to be installed onsite, due to the fixture’s large size.